I am a teacher of foreign languages. I studied English and French at the university and since my graduation I have had professional development trainings in Scotland, Ireland, Israel and Belgium. I have been teaching English in kindergarten, elementary and secondary school for almost 20 years. I speak several languages and have always been fascinated by their interconnectivity and similarities. 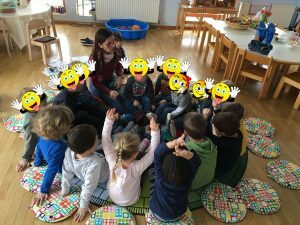 I feel best when I am in class, when I can teach English to young learners through chants, sing-and-do routines, stories and fun activities. I bring along my positive personality, my rich experience as a teacher, my fulfilling time as a mother, my creativity and my passion for languages in general. 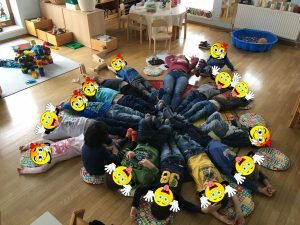 I have been in the Pauker team for more than a year, teaching English, working on a new programme for our English World for Kids lessons and organizing and supervising the activity of new colleagues in kindergartens, schools and private groups. I gladly share my knowledge and offer them advice whenever needed. I am here to guide them through their challenging beginnings and motivate them to grow and better themselves. What do I do when I go home? I am a happy wife and also a happy mother of two daughters. Spending time with my family is what I love most. And reading books in various languages. And watching films. And gardening.